Universität Hamburg invites applications for a Research Associate for the project “Jewish Moralistic Writings (Musar) of the Early Modern Period:1600-1800”. Deadline for applications is March 20th. The PhD candidate will be a member of the Emmy Noether Junior Research Group “Jewish Moralistic Writings of the Early Modern Period: 1600–1800” funded by the German Research Foundation. The group’s objective is to compile an inventory that systematically documents musar-writings that were composed between 1600 and 1800. The inventory aims at presenting the diversity of musar, identifying different schools, literary genres, and literary strategies. The joint project will be supplemented by individual studies that will give the group’s members the opportunity to evaluate the data brought together in the inventory. The successful applicant will pursue an individual research project on a topic related to the project’s thematic focus, and contribute to the preparation of the corpus of musar-writings of the inventory. A university degree in a relevant field. Graduate students with an M.A. degree in a relevant field, who focus on Early Modern Jewish History, Jewish Thought, the History of the Hebrew Book, or other subjects related to the project, and who have a keen interest in current theoretical trends in the humanities and social sciences (textual criticism, gender, the study of emotions etc. ), as well as interdisciplinary approaches, are encouraged to apply. The successful candidate will have an excellent knowledge of English, as well as an additional language relevant for the intended individual research project (Hebrew, Judeo-Spanish, Yiddish, or Judeo-Arabic). The candidate should have a high degree of personal responsibility and be willing to work closely with the other members of the group. Applications should include a cover letter, curriculum vitae, and copies of degree certificate(s), a research proposal (no longer than three pages) that outlines the intended research and its relevance for the project, as well as two letters of recommendation (to be sent directly to Patrick B. Koch, see contact below). The application deadline is March 20, 2019. Please send applications to: patrick.benjamin.koch"AT"uni-hamburg.de. Further information is enclosed in this PDF. 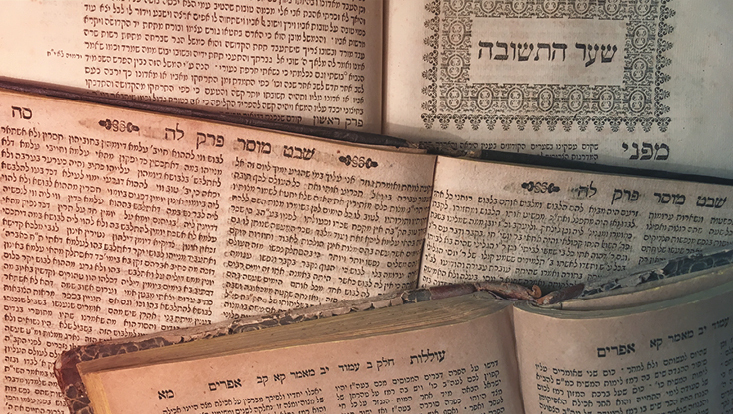 Pending approval of external funding Universität Hamburg invites applications for a Research Associate for the project “Jewish Moralistic Writings of the Early Modern Period: 1600–1800”. The position commences on October 1, 2018.